Green and blue colors represent areas where surface water changes occured during the last 30 years. 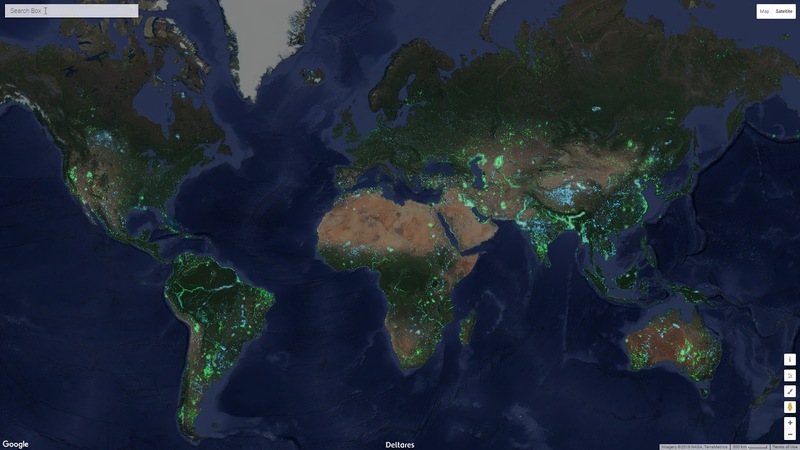 Green pixels show where surface water has been turned into land (accretion, land reclamation, droughts). Blue pixels show where land has been changed into surface water (erosion, reservoir construction).